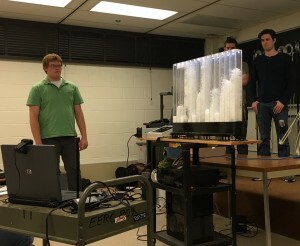 There was electricity in the air last night at the MasterpiECE Mania student design competition hosted by the Department of Electrical and Computer Engineering and IEEE. 16 teams competed in the annual event with prizes going to the top three teams. Actually four, as the judges concluded a tie for third. This year’s event was sponsored by Whirlpool Corporation with a generous gift of $2,000 to help support cash prizes, partial project supply reimbursal, event promotion, and a pasta buffet prior to the evening’s demonstrations to thank all the team members for their time and effort in their creative innovations. A few details regarding the winning project: A spectrum analyzer is a device for analyzing a system of oscillations, especially sound, into its separate components. The “Winter Spectrum” uses small polystyrene particles and powerful fans to visualize an audio signal. Using a microprocessor (TI Tiva C Launchpad) the team was able to run a Fast Fourier Transform (FFT) algorithm on an incoming line level audio signal. This separated the audio frequencies into “bins” which integer value represents the intensity of the certain frequency. Pulse width modulated (PWM) signals are fed to the fans under the acrylic enclosure. The beads then rise to the level that best represents the FFT frequency bin average. 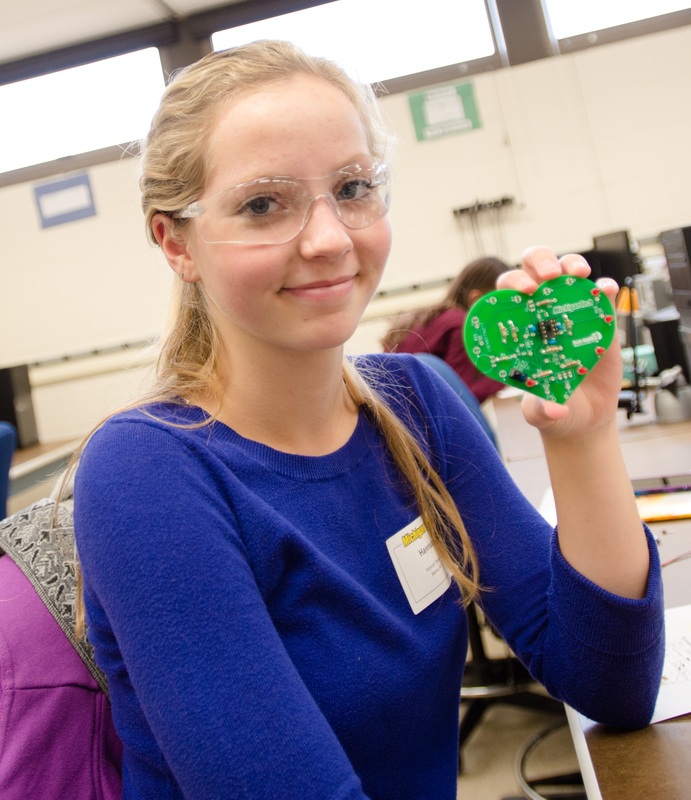 MasterpiECE Mania began in 2009 with the goal of inciting creativity throughout the Michigan Tech community and fostering an appreciation for the ‘DIY’ aspect of modern electronics. Although the yearly MasterpiECE Mania competition is hosted by the Michigan Tech ECE department, it is open to all Michigan Tech Students regardless of major. This intra-disciplinary hack-a-thon competition challenges student to develop and build an electrical-based project that displays their skill and ingenuity. I am writing today while en route back to Houghton after a week in the San Francisco Bay Area. 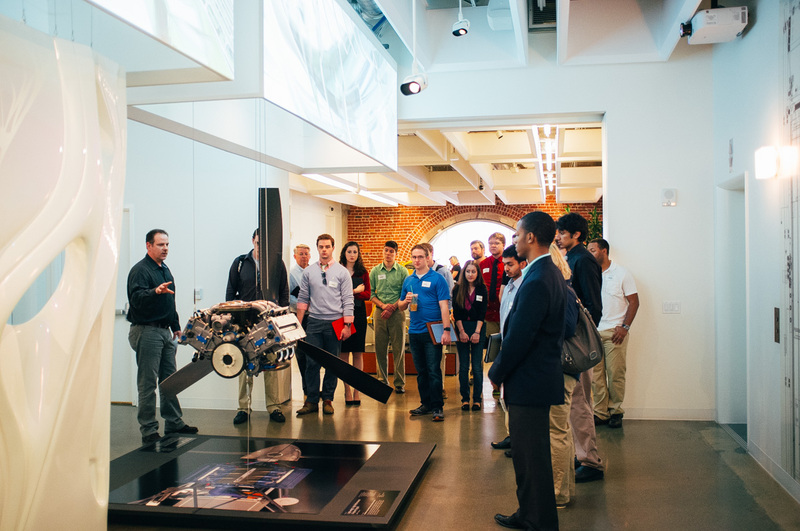 I was participating in something that has become an annual Spring Break event, tagging along with 20 Michigan Tech students on a whirlwind tour we call the Silicon Valley Experience. Students from all different majors apply through an internal competition to take part. They visited 12 different companies over 4 days, learning all about the high-tech world of Silicon Valley and the entrepreneurial culture surrounding it. The list of companies includes household names – Apple, Google, Facebook – along with other established companies and new start-ups. There is a Michigan Tech connection at all these places, which helps to get our foot in the door. My time is split between visiting with Michigan Tech alumni, both old friends and new, and joining the students at company visits as my schedule allows. I want to give a shout-out here to our Director of Industry Program Development, Adam Johnson, for the terrific job he did at organizing the event and taking care of all the logistics. After one of these trips to California I come away with so many impressions that I could easily fill two or three of these columns with my random thoughts. I just might. First off, we all just have to admit that Silicon Valley is the center of the universe when it comes to innovation in the information technology space. There is no other place like it. It is brimming with all sorts of electrical engineers, computer engineers, software engineers, and entrepreneurs working to create the next big thing and disrupt last year’s technology, with the support of a massive economic engine of venture capital. Almost overnight, it seems, the technology created there has gone from a novelty to a necessity – search engines on Google, smart phones from Apple, social media on Facebook where these very words are being written. I can sit in an airport and be connected to family, friends, and work via a communication network called the Internet that hardly anyone imagined some 30-40 years ago. These are hugely powerful forces that have transformed our lives completely, and the pace of that change shows no signs of slowing down. There is a lot of excitement and buzz surrounding these technological innovations, and as a result Silicon Valley attracts the best and brightest engineering talent. There are a lot of job opportunities, but even so the market can be pretty competitive as the top companies can afford to be pretty choosy. It’s like the song lyric about New York – if you can make it there, you can make it anywhere. In fact, the analogy with Broadway is pretty apt, as job interviews have been transformed from conversations across a desk to auditions of actual programming and engineering skill. I understand the process can be pretty grueling. However, if one has what it takes, the salaries and perks are unmatched in the engineering world. One immediate impression that I come away with is how the workplace itself has changed over the past decade. Google was on the leading edge, but their style has been picked up by most of the other established companies and newcomers. On this trip it seemed to me that Facebook is raising the bar even further. Every day is casual day. I don’t even bother packing a tie when I travel to California anymore; I wore the same pair of jeans all this week and half the time I was overdressed. More remarkable is the level of amenities available to employees – free food and drink 24/7, all you can eat, game rooms, music rooms, barber shops, bicycle repair, even medical care. The days of residential dormitories on or near the corporate campuses are not far away. The whole idea is to keep engineers and programmers at work and happy for hours on end, and not give them any reason to stop being productive. I get to sample this workplace style every so often because of a Google-sponsored research project I am on right now. I have to wonder what it would be like all the time – I guess one gets used to it – but for the few days at a time that I see it, I feel like I am living high on the hog. For the companies, it is clear that the cost of these amenities is far outweighed by the value of a productive employee. I will bring this to a close here, and follow up in the next few weeks with my thoughts on 1) the culture of entrepreneurship in the high-tech world, 2) what universities like Michigan Tech should be doing to help students prepare for success, and 3) what can other regions of U.S., like the upper Midwest, learn from Silicon Valley. No doubt I’ll be trolling the Internet on my smartphone and checking in with social media to get some good material. 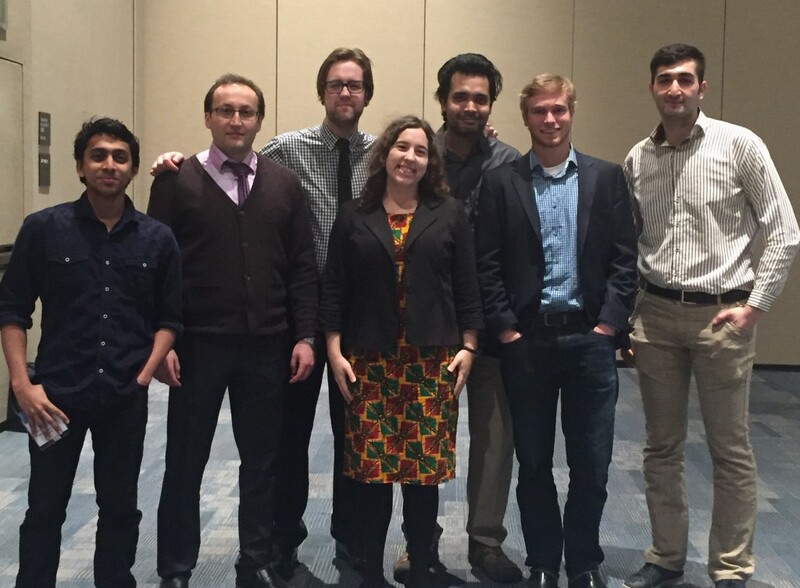 Michigan Technological University’s Department of Electrical and Computer Engineering (ECE), along with Departments Biomedical Engineering (BME) and Physics were well represented at the annual SPIE Photonics West conference held in San Francisco, CA, on February 13-18, 2016. Arash Hosseinzadeh, PhD candidate in electrical engineering, Derek Burrell, BSEE senior and SPIE/OSA MTU chapter president, and Mitch Kirby, BSBE (EE minor) presented papers and research findings on topics: Design and optimization of polymer ring resonator modulators for analog microwave photonic applications, Comparison of self-written waveguide techniques and bulk index matching for low-loss polymer waveguide interconnects, and Effects of incident intensity on laser speckle contrast imaging. BME Chair Sean Kirkpatrick was session chair and moderator and ECE Prof. Chris Middlebrook co-authored two papers presented. Also attended were Nima Taherkhani, MSEE candidate, and ECE alumna Liz (Cloos) Dreyer ’12, currently a PhD pre-candidate in electrical engineering (optics) at the University of Michigan, Abhinav Madhavachandran, MSBE candidate, and Anindya Majumdar, PhD candidate Physics. Student travel was partially funded by Michigan Tech’s Undergraduate Student Government (USG) and Graduate Student Government (GSG). See more information on the SPIE/OSA MTU Chapter see mtu.osahost.org. Fridays with Fuhrmann: ECE Students/Graduates Are In Demand! This past Tuesday Michigan Tech held its spring Career Fair at the Student Development Center. We had 227 recruiting organizations on campus, looking to hire our students and graduates for full-time, co-op, and internships positions. 139 of those companies were looking to hire electrical and/or computer engineers, among many others of course. The spring fair is always smaller than the fall version – last September we had 370 companies on campus – but even so, this is a big event by anyone’s standards. My hat’s off to the Michigan Tech Career Services office, which does an outstanding job for our students. Over the years, Career Fair has become for me one of the most exciting and energizing days at Michigan Tech. You see students dressed to impress, and looking for that interview which could launch their career, and you see all the recruiters really interested in our students because of the value those students could bring to their organizations. I get the same story all the time – Michigan Tech students have a great work ethic and are ready to jump right in and make contributions, no matter where they land. A lot of people attribute this to our environment here, where students have to move a long way from Mom and Dad, develop as independent adults, and endure at least four harsh winters (although our little secret is that the winters are more fun than harsh.) Of course, we also believe that our educational programs that emphasize engineering and math fundamentals, individual skills, hands-on learning, and team projects have a lot to do with it too. Whatever the reasons might be, it is extremely gratifying to know that we are making a contribution to the economy and that our students are in demand. I heard anecdotal evidence that starting salaries for EEs are now pushing $70k and higher. I like to talk to recruiters and find out what specific areas are in demand too. The hottest area for EEs right now, as it has been for several years, is controls. If you are not familiar with the field, control (in the engineering sense) is all about making things do what you want them to do, from cars to motors to appliances, to large factories and steel mills. The push toward automation in all areas of our society and economy is driving a demand for engineers who understand this field. Controls engineers tend to have broad interests, since to be successful one must have mastery over the mathematical fundamentals, as well as a working knowledge of the systems and components being controlled, which could be electrical, mechanical, or chemical. This combination of theoretical and practical skills seems to match our students pretty well. You can see that events like the Career Fair do more than just find jobs for our students. Our relationships with industry partners help to inform us about what we need to be doing in our educational programs, both for them and for our students. I see a three-way “ecosystem” involving the university, the students, and industry, which right now seems to be working really well for everyone. The exciting challenge now is to keep those relationships thriving in an era of constant technological, economic, and societal change. There is something to look forward to every day! This week we learned that Michigan Tech made the top-200 list in Princeton Review’s “Colleges That Pay You Back” category. These are the colleges that score highly when one looks at things like financial aid and starting salaries after graduation, the things that speak to the return on investment for a college education. It is good to be recognized for something that we pay attention to, and take a lot of pride in. If they had such a list, Michigan Tech would be right up there near the top. Our in-state tuition is about $13k, there is a fair amount of financial aid available, starting salaries university-wide are in the mid-60s, and our admission rate is 75%! Now a lot of people think that being ultra-exclusive is what makes for a great university, but I disagree. What makes a university great is what is does for its students. 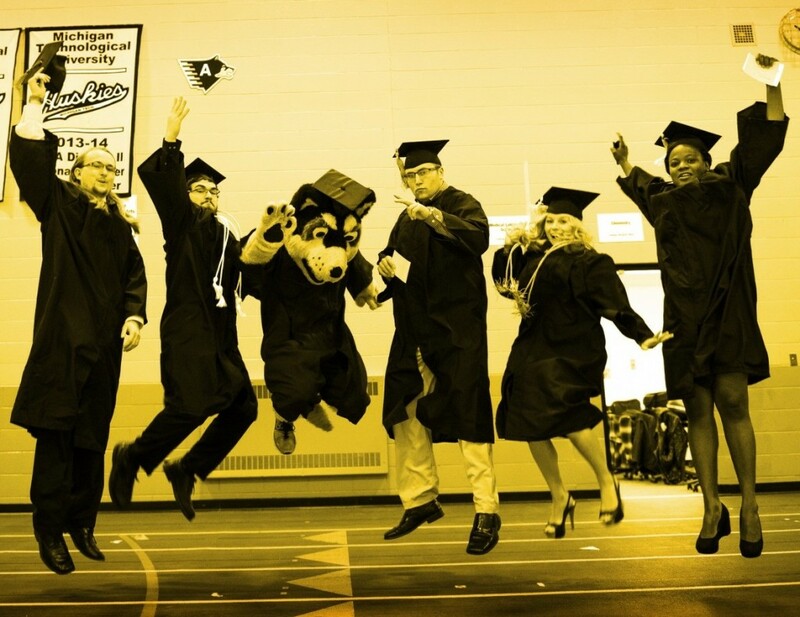 Michigan Tech takes students from all walks of life, all different backgrounds, and a wide range of abilities, and gives them the opportunity to create a meaningful and rewarding life for themselves if they are willing to work hard and do what it takes. There are a lot of naturally gifted students here, but we also have a wide swath of normal everyday students, and we think everyone deserves a shot at the good life. It’s not a cakewalk at Michigan Tech (although it is a lot of fun) but there is a big payoff at graduation. It is interesting to note that, even with that 75% admission rate, our average high school GPA is 3.66 which means that a lot of talented students are choosing Michigan Tech over other more prestigious institutions, and quite a few weaker students are self-selecting out. Don’t get me wrong about those highly-ranked schools. I know from personal experience that Princeton is an absolutely fabulous place, where a lot of really smart people are surrounded by other really smart people, and doing good work. All of their graduates are going to be very successful in life, not only because of the incredible education they receive, but also because they were talented enough to get in in the first place. The issue I am raising here is that there is only so much a place like Princeton can do for the vast number of American high school seniors. I am coming to believe that it is the Michigan Techs of the world that are doing the most good to prepare large numbers of young people to take their place in the 21st century economy. I can’t resist getting in one more dig. The “Colleges That Pay You Back” list was featured in a piece on the Today Show, and the Princeton Review rep that was being interviewed gave praise to Harvey Mudd College, a small engineering school east of Los Angeles. I agree with his assessment; Harvey Mudd is a great school with a project-focused educational philosophy very similar to that of Michigan Tech. In talking about the industry demand for graduates, the rep brought up the fact that 150 companies came to the Harvey Mudd campus recently to recruit. 150! I laughed out loud. 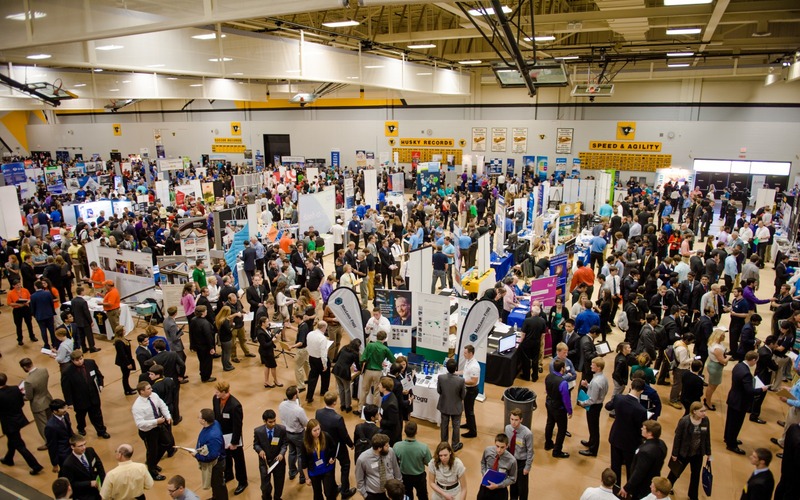 At the Fall 2015 Career Fair, Michigan Tech had *370* companies and organizations on campus recruiting – and we are located in a geographical dead end, not the middle of southern California! My hat is off to our Career Services office for the fabulous job that they do for our students and graduates. Speaking of Career Services, next week I will stay in this same vein, reporting on our Spring Career Fair which is next Tuesday. Until then, Happy Valentines Day and Happy Presidents Day everyone! This week Michigan Tech is celebrating its annual Winter Carnival. The students have Thursday and Friday off from classes, and there are a lot of winter-related activities going on. The most visible sign of Winter Carnival for most of us is the collection of interesting and creative snow sculptures that have popped up all over campus. These attract a lot of visitors and media attention, and are a lot of fun. Up to now I have used this column to write about electrical and computer engineering, and engineering education, but I thought this week it would be appropriate to take a break and write about something else that Michigan Tech is famous for: snow. 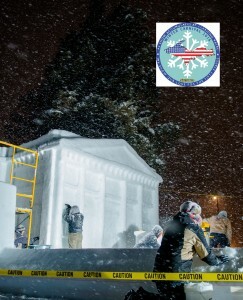 Michigan Tech is, according to AccuWeather.com and some other polls, the snowiest campus in the United States, with over 200 inches of the white stuff per year on average. Snow is definitely part of who we are, part of our heritage and culture. In a typical winter the snow starts up around Thanksgiving, gets pretty serious in December and January, then stretches into February and March, sometimes even into April. The city and the university are all geared up to handle the snow; they keep the roads plowed and haul the snow away to snow dumps out of town when necessary. All the residents of Houghton – most, anyway – have a plan to handle the snow in their driveways, sidewalks and lawns. We take it all in stride. To be honest, most of us are “snow snobs” laughing with derision at poor souls further south when a couple of inches brings a city to its knees. 200 inches of snow sounds like a lot – and I guess it is – but for the most part it is pretty benign. One can see major winter storms on the national news that dump one or two feet of snow all at once on some unfortunate region, and even though that can happen here too it’s actually pretty rare. The reason we get so much snow is in the first place is something called “lake effect”, in which cold Arctic air blows down out of Canada from the north and west, across Lake Superior, picking up moisture from the warmer water, forming snow in the air and then dumping it on the Upper Peninsula when it hits land. Lake effect snow doesn’t need inclement weather to happen; I have seen snow falling and the sun shining all at the same time. Of course, we can also get what is called “system snow”, meaning the same kind of winter storm systems that can happen anywhere in the upper Midwest. Our biggest events occur when both happen at the same time, something they call “lake effect enhanced snow.” My main point here is that you don’t need major blizzards to create 200 inches of snow in a year. You just need a little bit at a time, over an extended period of around 4 months, and as long as the temperatures remain cold it just piles up. So what is all this snow good for? In a word, plenty. Houghton residents and Michigan Tech students know that the best way to deal with the snow is to get out and enjoy it. One of my favorite activities is skiing, both downhill and cross-country. (I’m not particularly good at it, but I don’t let that stop me). For downhill skiing, Michigan Tech has its own Mont Ripley, just across the Portage from Houghton. It’s not a huge hill, only 450 feet vertical, but what it lacks in size it makes up for in convenience. I have a season pass and can go on a moment’s notice. Don’t let the small size fool you, either: it has plenty of challenging runs. For the more adventurous skier, an hour away near Copper Harbor, is the cult favorite Mount Bohemia. This place is for expert skiers only (the trail map says “No Beginners Allowed” in bold letters) with 900 feet vertical and almost entirely black diamond runs, and none of it groomed. It includes 400 acres of glade skiing too with some of that rated as double and triple black diamond. With a bare minimum of amenities at the bottom, Bohemia is paradise for ski nuts. If cross-country skiing is your thing, there are four different trails systems right in the local area, including an extensive set of trails owned and operated by Michigan Tech. This is a world-class facility in every sense; Michigan Tech has played host to Olympic trials and just last month hosted the U.S. national cross-country championships. The conditions are usually great, the trails are well maintained, and the scenery is beautiful. My only complaint, as a “classic” or “glide” skier, is having to put up with those healthier-than-thou “skate” skiers as they go zipping past me in their garish spandex outfits! There is plenty to do besides skiing of course. Snowshoeing is a favorite activity for many. For those who prefer their winter sports indoors, hockey is very popular and in fact there are a number of ECE faculty members who play in a local recreational league. The ECE Department puts on a student-faculty hockey game every December. They even got me out on the ice my first year in the department (just once.) For those who like motorized sports, snowmobiling is big around here too. You might think there would be tension between the “natural” outdoors types and the snowmobilers, but in my observation the two camps have reached a sort of peaceful coexistence. The snowmobiles have their own set of trails which are quite extensive, covering hundreds of miles of old railroad beds across the U.P. (one would NEVER mix skiing and snowmobiling on the same trail system.) It can be a little noisy sometimes, but you get used to it quickly, and most people recognize the economic benefit to the region. People come from all over to ride our snowmobile trails, and the years we do the best are the ones when we have snow when others don’t, like in Wisconsin, Illinois, and downstate Michigan. There is snowmobile parking on the Michigan Tech campus, and once you get past the novelty it seems perfectly ordinary. So there you have it – Michigan Tech, in addition to all of its contributions in science, technology, engineering, and math, is a winter wonderland. This is a unique place to live, work, and play. Students and alumni reading this know exactly what I’m talking about. Everybody else, you are welcome to visit – we’d love to show it to you. 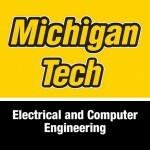 This week we learned that Michigan Tech, along with the University of Michigan and Michigan State University, has been selected for a grant from the National Center for Women and Information Technology (NCWIT) Pacesetters program, sponsored by the National Science Foundation (NSF), Google and Qualcomm. The aim is to develop aggressive goals and plans to increase the participation of women in computing and information technology. Michigan Tech is pleased to be recognized for its efforts to bring more women into the field. I congratulate Linda Ott from the Department of Computer Science on her leadership in bringing the grant proposal process to a successful conclusion. This is a good opportunity for me to offer a few informal thoughts about the issue of women in electrical and computer engineering and what we can do, and need to be doing better, to bring more women into the field. This has been a conundrum for the ECE Department for a long time. We are not alone in that struggle; it is a nationwide issue. The female undergraduate enrollment in the ECE Department has hovered below 10% for many years, although there has been a very slow rise and this past fall we were at 10.8%, a minor victory of sorts I suppose. Many of us in electrical engineering are left wondering why this has to be the case. We can jump up and down and stand on our heads and say what a great field this is, and talk about all the career opportunities in EE (and I believe that with all my heart) but still that message doesn’t seem to be getting across, or at least isn’t making an impact. I will be the first to admit that I say all those things as a 58-year-old male who has had a reasonably successful and rewarding career, and that it is hard for me to see things from the perspective of a young woman about to graduate from high school. You hear a lot of things about where the disconnect might be. It could be our culture, especially our youth culture, in which girls form opinions about themselves in middle school and high school about ability in math and science, which have little basis in truth but which they carry for the rest of their lives. It could be the professional environmental in high-tech areas like Silicon Valley, notorious for its “brogramming” culture in certain parts of the start-up world. It could be the lack of role models, in colleges and universities where electrical engineering and computer science is taught, and in industrial settings that come after. It could be that women look into the working world and just don’t see a path forward in an environment that is so dominated by men. All of these arguments have merit, and we need to be vigilant and aggressive in removing the barriers that are implied in each of them. One often hears the argument that women are not attracted to electrical engineering because it is not a field that is “helping” or “nurturing”. I am going to go out on a limb here and say that this is complete hogwash and I reject it completely. First of all, saying that all women want to be caregivers is just buying into the stereotypes that have kept them out of the field in the first place. Second, and more importantly, the idea that electrical engineering is not a “helping” field is flat-out ridiculous. I would argue that electrical engineers have done more to help humankind in the 20th century than any other professional group you can name. What is more “helping” than bringing electrical power to every home and office in the United States? What is more “helping” than creating a communication network that allows people to connect via voice, text, or video, halfway around the world, at the touch of a button? What is more “helping” than designing the technology and the systems that provide for our common defense, protecting the nation and keeping us all safe in our homes? What is more “helping” than creating the technology that brings us the aesthetic joy and pleasure of music, video, and cinema? If someone wants to make an argument in support of the medical profession, I suppose we could sit down and have a good debate, but the first thing I would point out, as I did in this column three weeks ago, is that EEs were major players in that arena too! 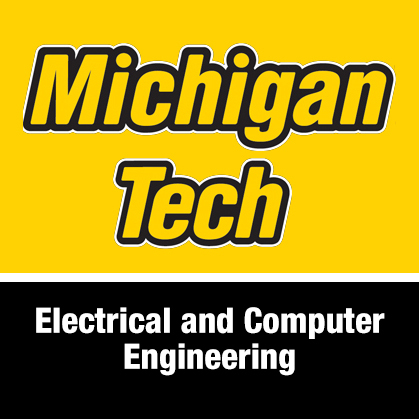 Now that I got that off my chest, I’ll conclude by mentioning some of the things we are doing in the ECE Department at Michigan Tech to attract more women into our ranks. 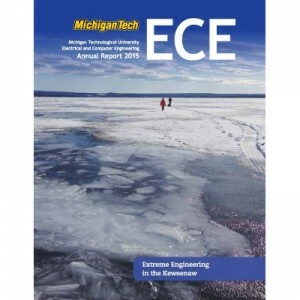 The ECE Department participates in Michigan Tech’s ADVANCE initiative, an NSF-supported program designed to the hiring and retention of women faculty, thereby creating a professional environment that our students can view as a model for the industrial world. We have wonderful and creative outreach programs for middle and high school age girls, in our summer camps and during the academic year; this is led enthusiastically by our Associate Chair Glen Archer, with help from a great group of students in the Blue Marble Security Enterprise. Dr. Archer was also the ECE point of contact for the successful NCWIT proposal. We have created an ECE Women’s Center in the EERC, a space on the 7th floor where our female students can meet for academic and social interactions. We have instituted two new concentrations within the BSEE degree, in Biomedical Applications and in Environmental Applications, that have a secondary but explicit aim of attracting more women to the field. I can’t say that we have found the magic bullet yet that is going to boost our female enrollment to 20% or 30% or more, but we are giving it our best shot. This is an issue for which there are probably as many opinions as people who think about it. On this, and any other issue for that matter, I am always open to hearing from others and having a discussion. If you have read this far and want to take it further, please feel free to get in touch. I am writing today from beautiful Boulder, Colorado, where I have been attending a research progress review on a project I have been working on, along with other Michigan Tech faculty and students. The project is sponsored by Google. Michigan Tech is fortunate to be a research partner with Google on something they call a Multi-University Research Agreement, or MURA. I can’t tell you the technical details of what we are doing, yet, but later this year everything will be made public. Having observed how this project is managed over the past year, I am struck by how much the workplace, the team organizations, and the expectations of engineers have changed over the years. This has been a great experience for me, not only because the work is interesting but because it gives me a glimpse of what our graduates can expect as they enter the workforce. One of the most remarkable things I have noticed is how collaboration tools have made the world a smaller place, and have made geographical differences practically irrelevant. The team working on this project, about 30 people all together, comprises full-time Google employees, independent contractors, engineering companies, and university teams like ours from Michigan Tech. The group is spread out from Hawaii, to California, to Michigan, and to Europe. Subsets of the team meet regularly via Google Hangout, which is a pretty easy-to-use teleconferencing tool, and it is like being in the same room (there is the one remaining issue of time zones, but most people don’t have a big problem with it.) Even when most of the group gets together in the same city, like this week, there are still those who call in and contribute. The success or failure of this project (and I’m pretty sure it’s going to be successful) depends on the ability of all the participants to work together as a team. This week we had discussions about how things went in 2015, and the overall consensus was that the teamwork was pretty good. It reminds me of why it is so important for us at Michigan Tech to teach our students about teamwork in our capstone projects, whether in Senior Design or Enterprise. They are going to be working on teams when they leave the university, and knowing how to collaborate, how to get along, how to get work done on time, how to communicate, how to make expectations clear for others – these are all things that are going to be critical skills for career success. The other side of teamwork that we stress at Michigan Tech is the development of individual skills. Everyone on this Google project has a seat at the table because they are really good at what they do, and I don’t imagine that’s going to be any different anywhere else. Finally, I will mention that the nature of engineering careers is changing rapidly. Certainly there will be those that work full-time for a large corporation, and maybe they stay with that corporation a long time. On the other hand, there are those that work for corporations, but change jobs often. Others work as independent contractors, coming and going from teams as their skills are needed. I am fascinated by these engineers, at least the ones I have seen in this group: they are extraordinarily talented in their particular area of expertise, and because of all the collaboration tools available today they can live wherever they want. In all of these cases I am just talking about engineers selling their time and expertise; I haven’t begun to talk about entrepreneurship, which is another avenue that engineers are increasingly exploring. The bottom line is, if an engineer is good at what he or she does, their career arc and their lifestyle is limited only by the imagination. At Michigan Tech we do our best to prepare students for this new engineering environment of the 21st century. I am always open to feedback about how well we are doing. Being able to travel to meetings like this has its perks. On Friday, when this is posted, I’ll be taking a vacation day and skiing at Loveland Pass, in the Rocky Mountains not too far Denver. Finally, I have a chance to see if all my time spent on Mont Ripley has done me any good! The Department of Electrical and Computer Engineering (ECE) is now on Facebook and Twitter. Like and follow us for faculty spotlights, student accomplishments, outreach and events, industry and alumni news, and more; including a weekly post from the chair in “Fridays with Fuhrmann”. We hope you’ll add us to your social media picks. We are happy to share with you our newly released ECE Annual Report 2015. A look back at our past year highlights research activities by Profs. Zhaohui Wang, Wayne Weaver, Bruce Mork, and Mike Roggemann, along with ECE’s involvement in Michigan Tech’s new research agreement with Google ATAP. Once again the year included a wide variety of hands-on student projects in our Senior Design and Enterprise programs and we thank our sponsors for making it all possible! Our undergraduate programs added two new concentrations starting Fall 2015 – Biomedical Applications and Environmental Applications within the Bachelor of Science in Electrical Engineering. We invite you to read about these stories and more. From all of us at ECE, best wishes for 2016!